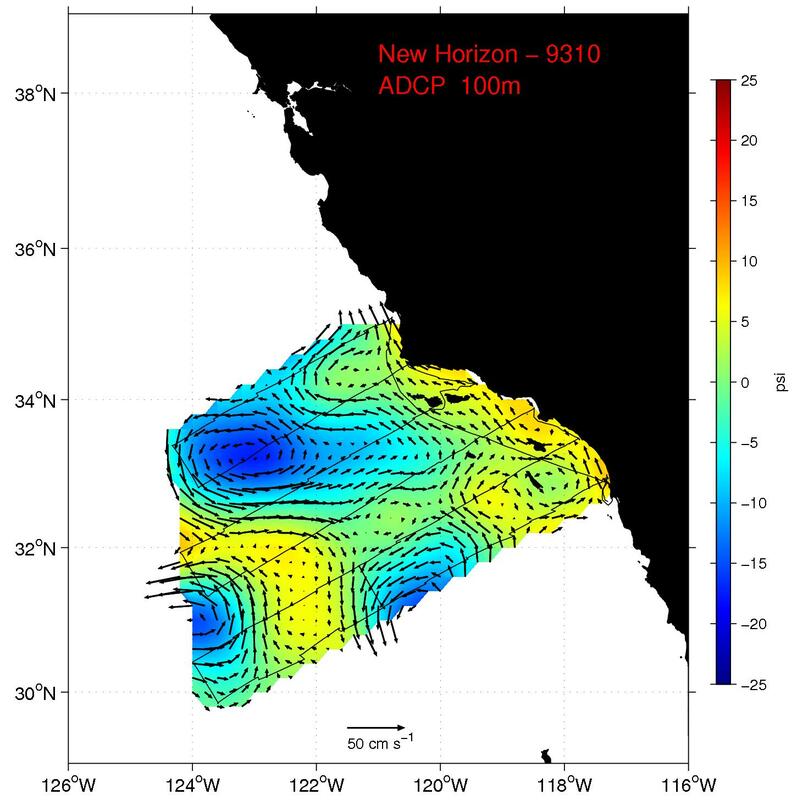 The CalCOFI ADCP Program resulted in a decade of shipboard acoustic Doppler current profiling of upper ocean currents off southern and central California conducted as part of the quarterly cruises of the California Cooperative Oceanic Fisheries Investigations (CALCOFI). This "Digital Atlas" presents plots of the data at two standard depths, links to the full dataset at NODC JASADCP, and an analysis of the data (objective mapping) to produce a velocity streamfunction consistent with geostrophy (Chereskin and Trunnell, JGR, 1996). Click on the map to the left to go to a typical cruise page.